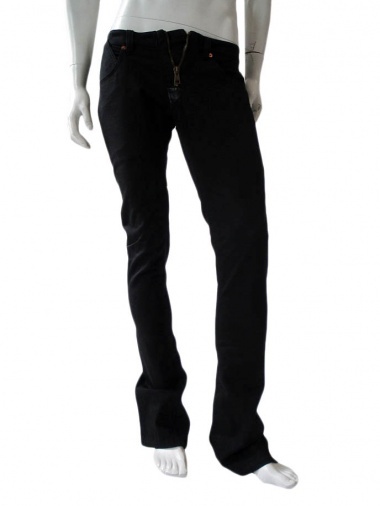 Pant with zip at the bottom 100% Cotton by Against my killer - Clothing Men Pants On Sale. Pant in cotton, dyed garment, tight leg flared at the bottom with zipper. Visible zip as fastener on the front, ties in fabric on the upper part and patch pockets back.